Post Art Library andÂ Heartland Opera TheatreÂ invite you to the Fourth Annual Post Art Library Holiday Tea, Saturday, December 1st, from 2-4pm in the Post Reading Room inside Joplin Public Library. 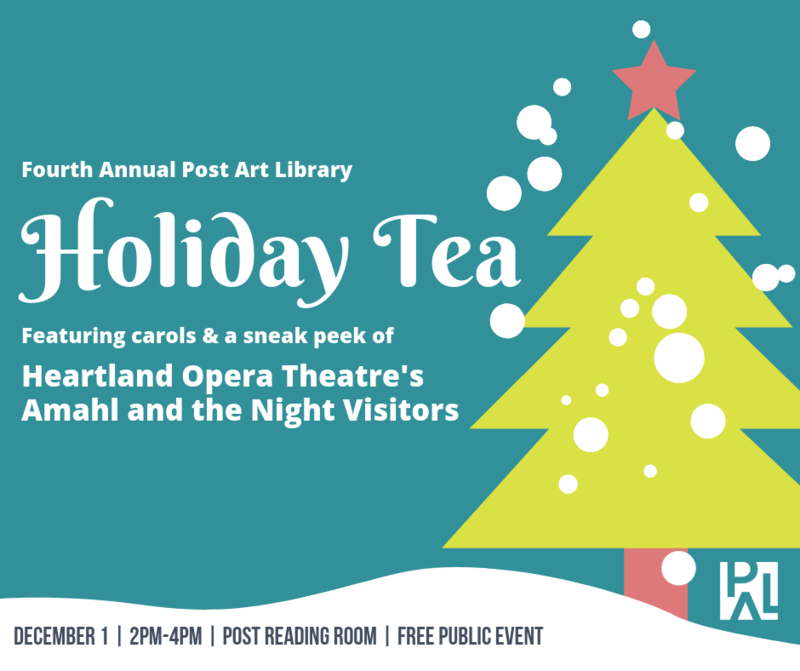 Enjoy tea, holiday treats, and a performance, including holiday carols and a sneak peek of Heartland Opera Theatreâ€™s upcoming production, Amahl and the Night Visitors. This is a FREE PUBLIC EVENT. No registration necessary. For more information, contact Jill Sullivan at 417-623-7953 x1041.